Alessia Cara & Zedd’s “Stay:” Check Out the Highly-Anticipated Collaboration Out Friday! There’s a new couple in town but don’t get your hopes up, because it’s strictly business for these two! Alessia Cara and Zedd are collaborating and their new song will be coming out this Friday! 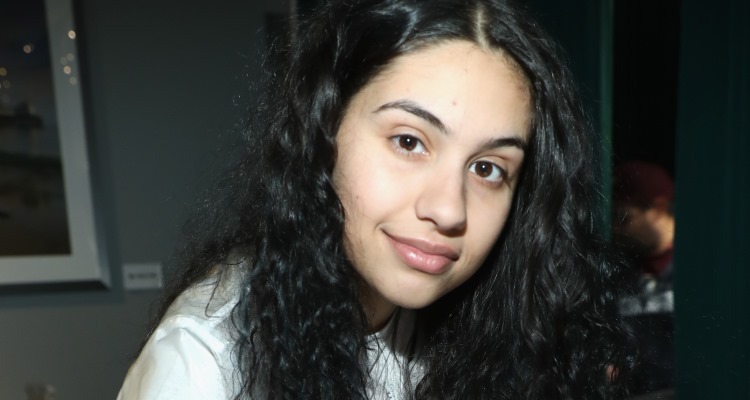 Fans who have been waiting for Alessia Cara’s new song are finally getting their wish, and there’s no better time than the weekend! We were wondering when the next great collaboration would be happening, and it turns out our prayers have been answered! 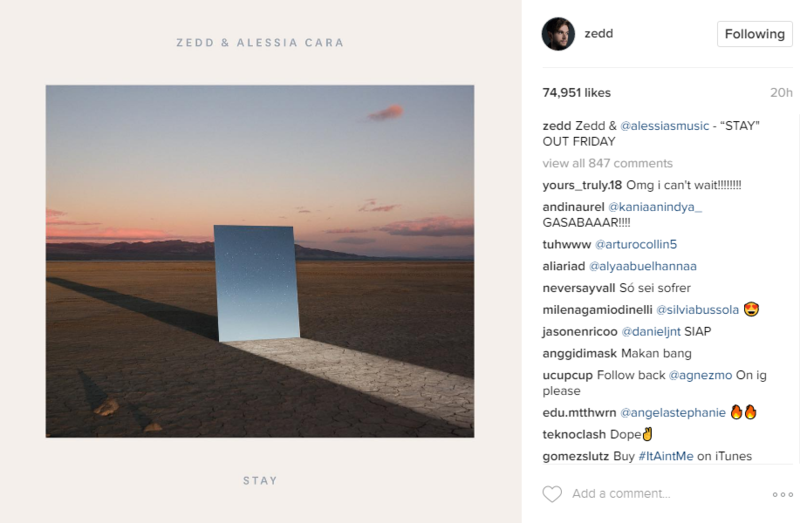 Zedd and Alessia Cara’s “Stay” is really happening and the German DJ took to his own Instagram account to reveal the release date. The post was captioned, “‘STAY’ OUT FRIDAY,” with the picture of a blue square standing up in the middle of the desert. The post has over 70,000 views and over 800 comments from fans who are highly anticipating the new song’s arrival, and we can’t say we blame them! There’s a news single around every corner and it’s getting harder to keep up! Zedd hinted at his collaboration with Cara last year, but now fans know exactly when they can expect the new song, which is sure to be a crowd pleaser. It’s hard to picture Canadian singer Cara on the club scene (she sang about avoiding parties in her hit song, “Here”) but Zedd has a way with people and getting them to try new things. Who knows, Cara may like the club vibe that the famous DJ has to offer and let’s face it, everyone has to say they at least tried it! The “Scars to Your Beautiful” singer had quite the year for herself in 2016 and finally added “guest singer on Saturday Night Live” to her bucket list. She may not have walked away with a Grammy this year, but the Brampton native is on the fast track and she’s here to stay! Make sure you check out “Stay” as soon as it’s released on Friday!